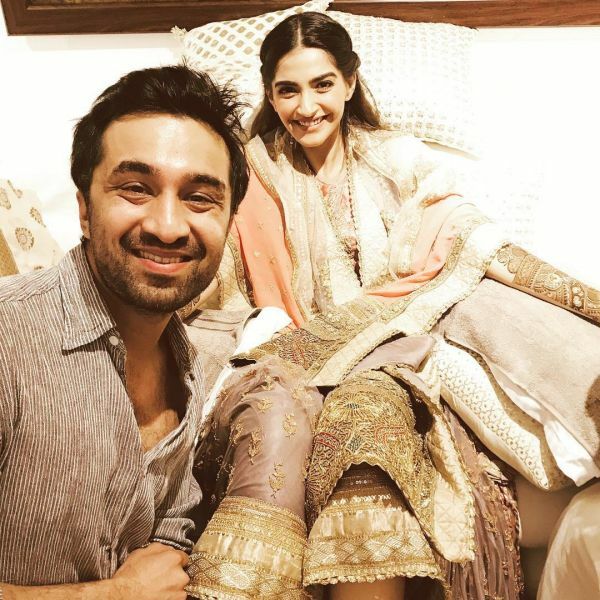 All The Super Stylish Pictures From Sonam's Mehendi That You Missed Out! I've never spent more time on Instagram than I did last night. Not because I was busy posting about my Sunday brunch with the gang but because it was Sonam Kapoor's mehendi and I just couldn't get myself to stop. 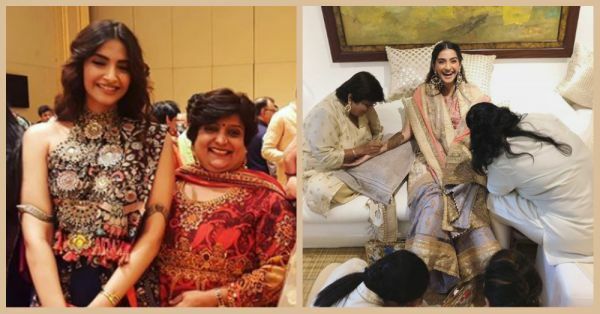 The talk of the town wedding celebrations officially began last night at the Kapoor mansion in Juhu with Sonam's cosy mehendi ceremony and the pictures and videos look nothing less than a big fat Bollywood movie. 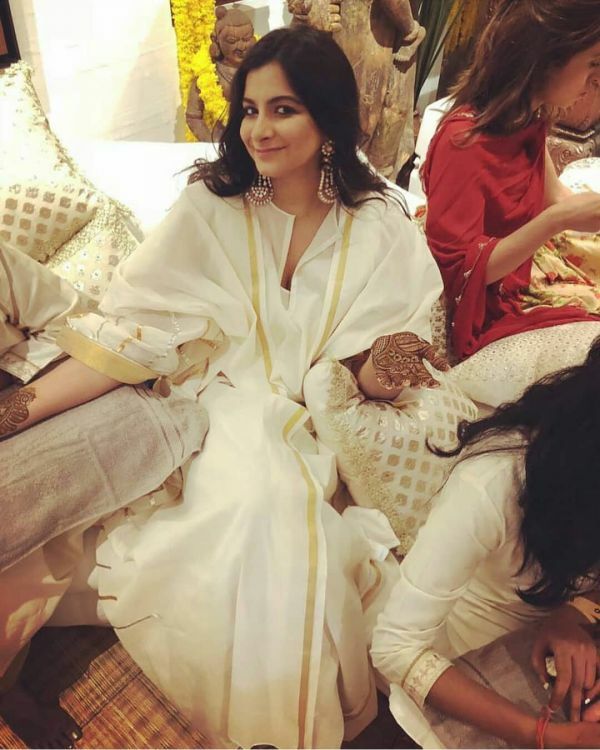 The word around the town is that Sonam Kapoor will be wearing "the three 'A's for the wedding - Abu Jani Sandeep Khosla, Anamika Khanna and Anuradha Vakil". 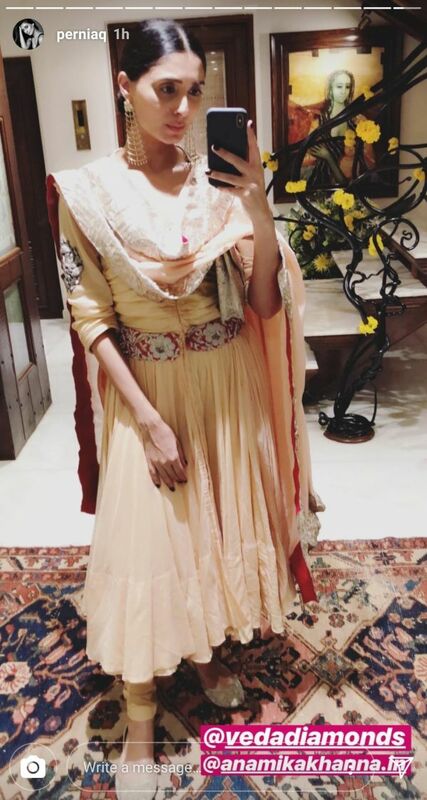 Now that we know she's worn Anuradha Vakil label to her mehendi function last night, can we expect her to wear Anamika Khanna at her sangeet and AJSK at the wedding? We'll find that out soon tonight. 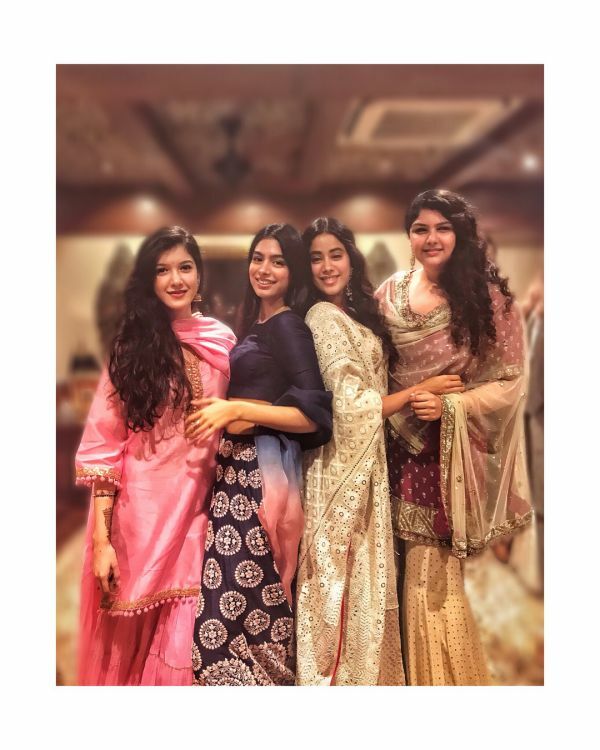 Meanwhile, here's what the Kapoor clan and friends wore to the fashionista's mehendi last night. 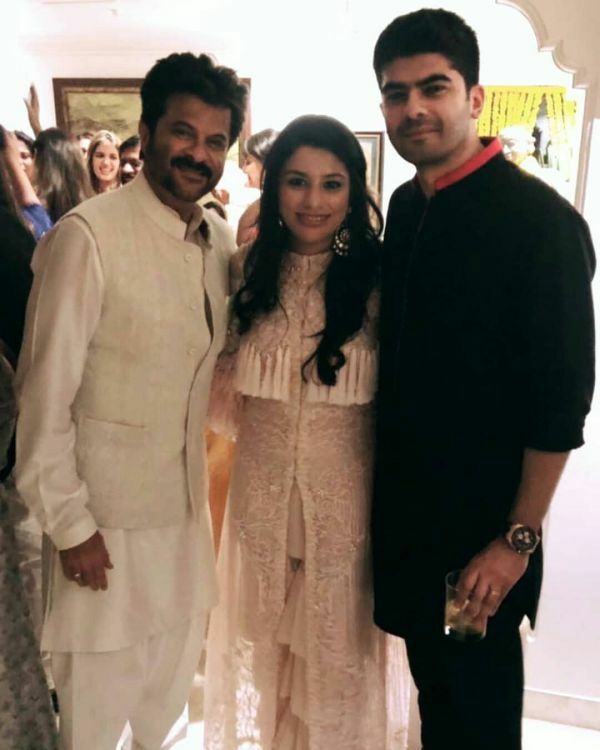 Sonam Kapoor's stylist sister, Rhea, wore a beautiful three-piece coordinate set of kurta and palazzos paired with a matching kimono over it by the Kapoor favourite Abu Jani Sandeep Khosla's new label, Gulabo. The dainty gota work along the border and heavy drop earrings are all the statement she needed to pull-off white at a shaadi event! 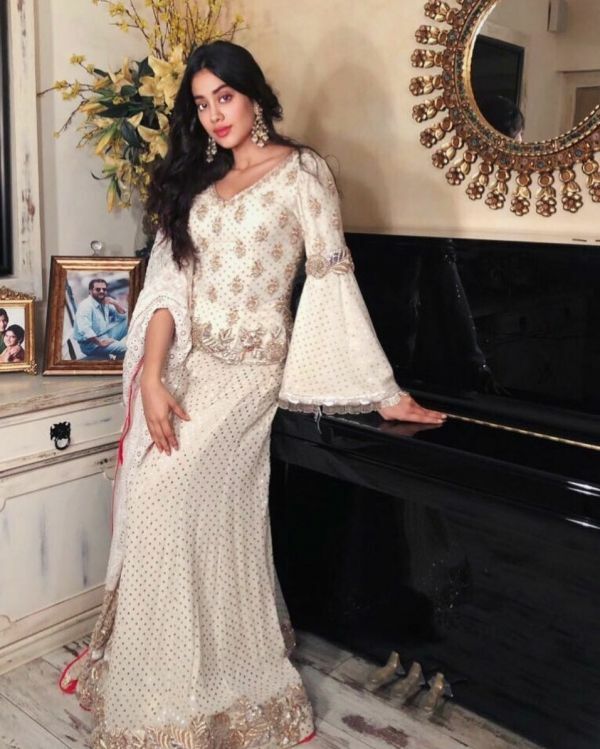 TBH, we weren't surprised to see Janhvi Kapoor in a Manish Malhotra outfit. An A-line lehenga with all over sequinned details, an embroidered blouse with bell sleeves and bright pink piping across the lehenga skirt and dupatta, here's another idea to glam up in white. 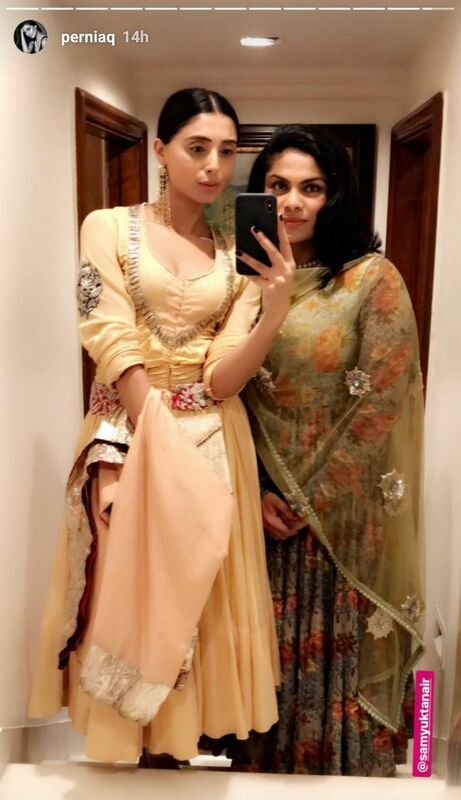 Janhvi's younger sister, Khushi Kapoor, was also seen in a Manish Malhotra lehenga. She opted for a solid coloured choli with a matching lehenga skirt in coral embroidery. The dupatta is kept simple in an ombre dye to enhance the heavy work on the lehenga skirt. Shanaya Kapoor, Sonam's cousin, wore an all pink sharara set with golden gota-patti work. We love how she's accessorised with golden jhumkas and a matching micro-dot bindi to complete the look. Last but not the least, Anshula Kapoor, Arjun Kapoor's real sister was also seen in a garara set. The beige and maroon colour combination is a total classic for all skin tones. She posted the picture on her gram with the hashtag "#SistersBeforeMisters" and we couldn't agree more! 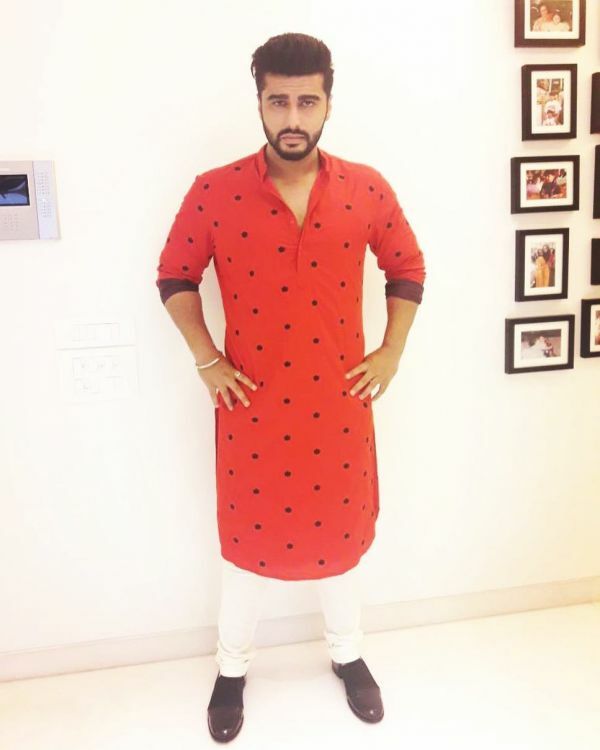 Let's talk about Sonam's bother from another mother, Arjun Kapoor now, shall we? To quote Arjun, he wore "an absolute gem of a piece that’s classy, cool and contemporary..." from his friend's label Kunal Rawal Dstress. The hashtag he used - #IsItRedOrOrange - has got us thinking too! What do you think? A Shantanu & Nikhil outfit with Dolce&Gabbana shoes, this ensemble is just so KJo, isn't it? We love how the stole is stitched within the kurta adding a pleated statement to his look. And the pins and brogues are just too stylish to ignore! 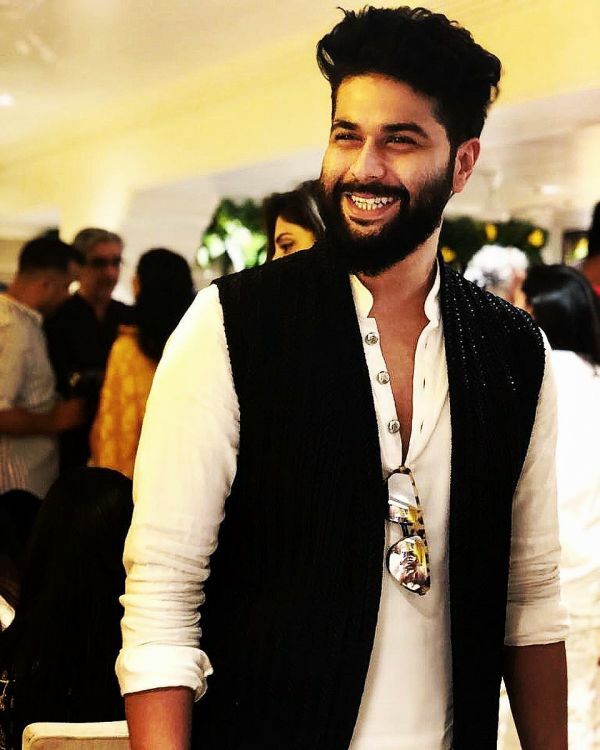 Harshvardhan Kapoor, Sonam's younger brother, looks like the perfect host for Sonam's mehendi in this crisp white kurta-pyjama set with a grey Nehru jacket. Notice the quirky pocket square and how he's carrying it? There's more to monochrome than a tuxedo, gentlemen! Also, how about matching shoes for "The bro code" this wedding season? We've been seeing a lot of Kunal Rawal in the shaadi celebrations (remember the dance practice for the sangeet?) Just like Harshvardhan, Kunal also decided the go monochrome "in a black rafia bundi and white kurta set" from his own label. Look at those bad boy reflectors. Who's the dapper in the house! Mohit Marwah (in maroon) is yet another cousin to have graced the occasion. We love his achkan style kurta with churidaar and traditional mojari. Like father, like son. Daddy cool also decided to show up in white in traditional Indian formals with dhoti pants and Nehru jacket. Guess who made it to the star-studded night? Sonam's childhood friend (and Shraddha Kapoor's brother), Siddhant. 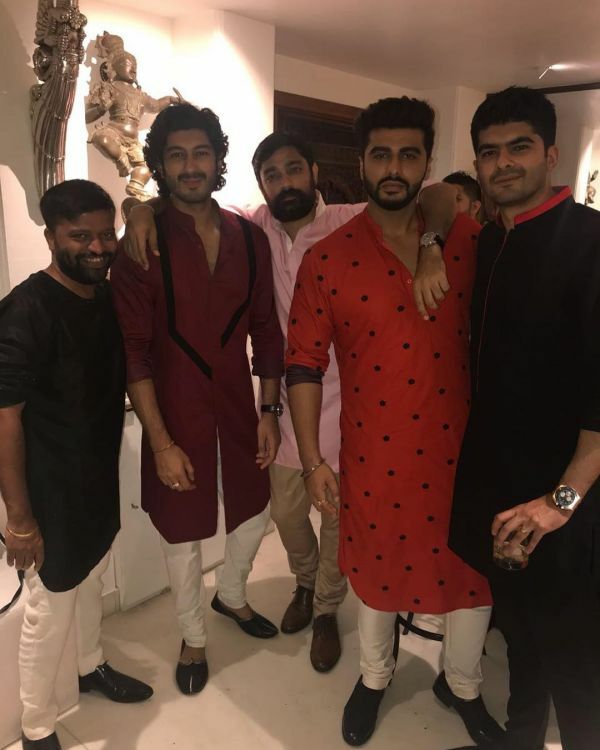 While others were seen in ethnic wear, Siddhant was seen in a casual shirt for his bestie's mehendi. Apart from friends and family, some of Sonam's designer friends too made it to the mehendi function at their Juhu house. 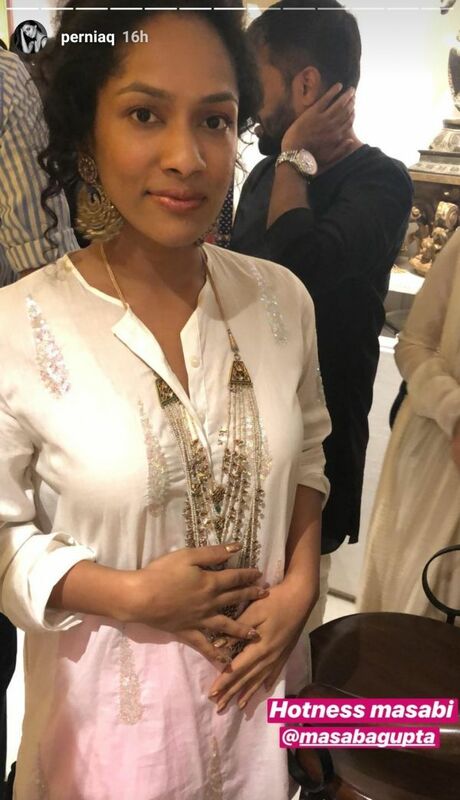 Masaba Gupta was seen wearing a white embroidered kurta and palazzo from her own label, House of Masaba. The layered necklace and matching drop earrings are just what she needed to add to the glam. 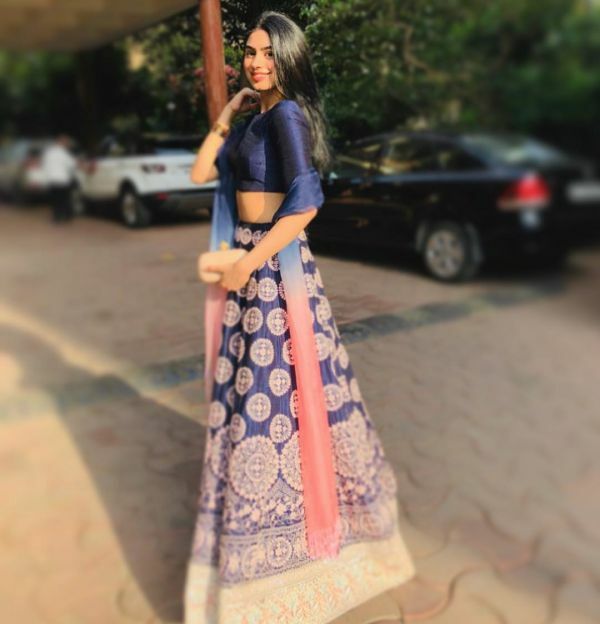 How amazing is that outfit our favourite fusion muse, Pernia Qureshi, is wearing. Pernia chose to give her label a rest for the occasion and decided to wear an Anamika Khanna outfit instead with an anarkali suit set cinched with a statement belt around the waist. And how crazy are those webbed earrings by Veda Diamonds! Arpita Mehta was a breath of fresh air in her label's new collection Enchanted Forest by Arpita Mehta. A statement choker, matching earrings, and that dot bindi are bringing out the outfit's floral print in an elegant way. 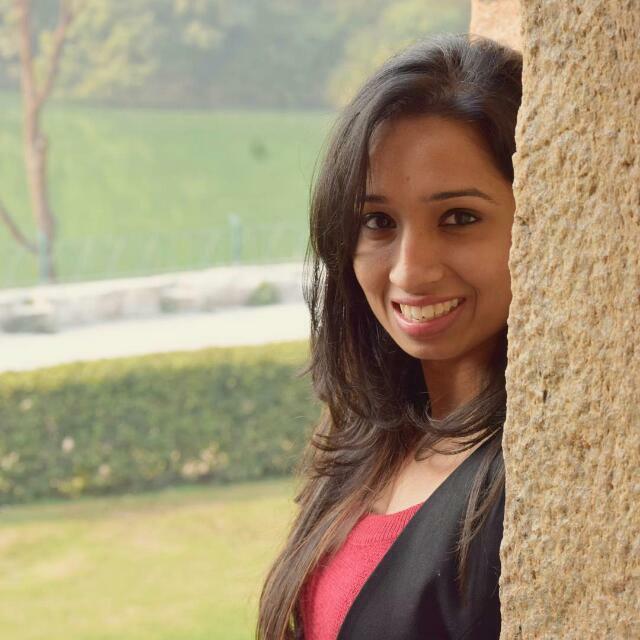 Samyukta Nair is one of Sonam's childhood friends. She's wearing a floral printed anarkali set and a net dupatta with pom-pom details across the border. She is a part of the family that owns The Leela, where Sonam and Anand are hosting their reception party in Mumbai on 8th May after the wedding. Wonder what The Kapoors will wear tonight to the sangeet!